We have designed and re-designed the NeatCleats to get them just right. A good firm "click" lets you know that you have a good contact between shoe and bracket and that your footwear is secure. 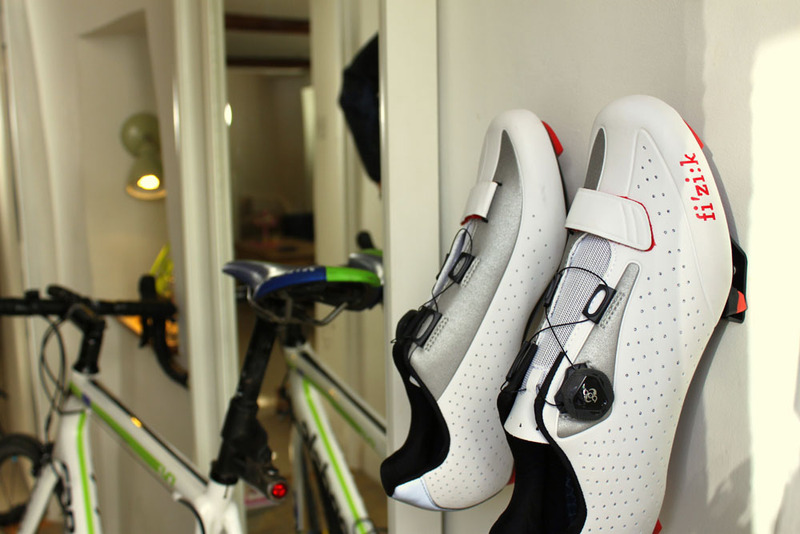 Keeping your cycling shoes tidy and making them dry quicker. Choose from the fitting for LOOK, Shimano SPD and Shimano SPD-SL. The NeatCleat wall bracket fits simply, the only tools required are a 7mm drill and Torx screw driver. Wall fixing for both masonry and drywall/plasterboard fixings are included. You’ll never have to look for your shoes again!